The CHFG is pleased to announce the publication of a new resource, specifically targeting Hospital Boards. 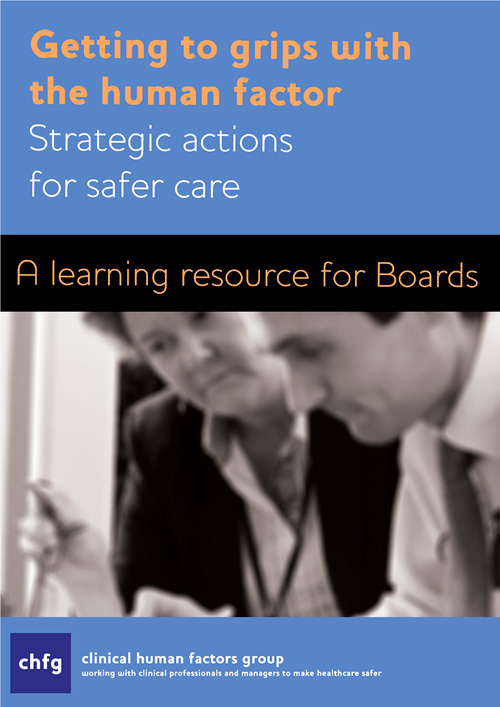 “Getting to grips with human factors – strategic actions for safer care”, is a learning resource that recognises the fundamental impact Boards have on safety within their organisation. The aim of the resource is to encourage Boards to invest time and resource in Human Factors, by raising awareness of Human Factors, and demonstrating how Human Factors impact on quality, safety and productivity in healthcare. It is intended to be thought provoking, encouraging Board members to think about themselves and their organisation whilst also providing practical actions Boards and individual members can and should be making in this area.